When performing a full system upgrade on a specific budget there are inevitably compromises and priorities placed in certain areas. It isn’t uncommon to apply more of the budget to core components such as the CPU, memory or graphics card – while cutting back on the computer chassis or dare we say it, even the monitor. Choosing the correct display is crucial, regardless of whether the objective is improved visual quality or improved visual performance. Monitors arrive with a huge array of attributes which all need to be carefully examined to achieve the desired result. Today we’ll be feasting our eyes on what can only be described as a visual delight – the BenQ EX3501R. 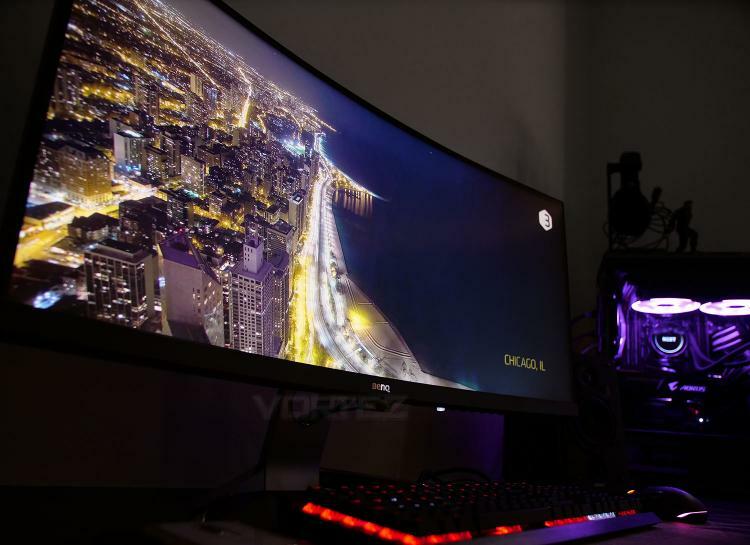 This 35-inch curved monitor is armed with a VA panel, HDR and 100Hz. EX3501R also boasts an 1800R curvature and native resolution of 3440x1440. Does this display offer a good balance for work, entertainment and gaming? Let’s find out! EX3501R delivers wondrous personal gaming entertainment with flawless image performance. Featuring HDR technology supported by FreeSync and 100Hz, one-cable USB-C connectivity, and the environment-adaptive Brightness Intelligence Plus Technology. EX3501R ensures an immersive and comfortable gaming experience for you to fully enjoy long sessions of gaming.